You know the aisle at the grocery store that always has all the seasonal specials? Like pumpkin puree in the Fall, baking supplies at Christmas, and marshmallows and Hershey bars in the summer? I am a sucker for that aisle. And as much as I love S’mores, when marshmallows are on special, all I can think of is Rice Krispie Treats. And am I the only one who didn’t already know that Kraft now makes holiday-themed marshmallows? When I saw the red, white and blue July 4th ‘Starmallows’, I was done for. July 4th Rice Krispie Treats had to be made. Growing up, to keep the peace with 3 kids in tow at the grocery store, my Mom used to always let us agree on one thing to pick out and make when we got home. Rice Krispie Treats were a common favorite, especially in the summer when both she and we were all home from school. And the site of a marshmallow always triggers a craving for them, and we all know what happens to cravings when you are pregnant. So last week, at the store with the girls, when I spotted the ‘Starmallows’, I told them we were going to make special, July 4th Rice Krispie Treats when we got home. Both the girls love to help in the kitchen, so before I could even get all the groceries put away, they were dragging in chairs from the kitchen to stand at the counter! PGPB Guru Tip: If you don’t see the ‘Starmallows’ with the rest of the marshmallows, check the holiday aisle. We found ours in the section with the sparklers, sticks for S’mores and all the red, white and blue holiday decor. To make our July 4th Rice Krispie Treats, you need the basic treat ingredients, plus Kraft’s holiday-themed Starmallows and some red, white and blue sprinkles. Melt the butter and Jet-Puffed marshmallows in a large saucepan. My Mom always added a little vanilla for flavor, so I do too, but you don’t have to. When the marshmallows are fully melted, remove from heat and carefully fold in the Rice Krispies. Allow the mixture to cool slightly, and stir in 1 cup of ‘Starmallows’. You want it to cool enough that the stars don’t melt. Press mixture into a greased, 9 x 13 pan. Sprinkle and press into top of mixture additional ‘Starmallows’, along with patriotic sprinkles. And since there is always so much for kids to learn in the kitchen, I try to let them help as much as possible, and make every moment a teachable one. To start, Big M learned how to read the tablespoon markings on a stick of butter, and helped me cut off 3 tablespoons. Next, she helped me count out 40 marshmallows. At 3, she’s almost got counting to 20 down, so we actually counted to 20 twice, and I told her that made 40. Last, I told her we needed 6 cups of Rice Krispies, but our measuring cup only held 2. So we practiced counting by 2s as we added the Rice Krispies to the mix! And of course, both the Ms were all about the sprinkling of the sprinkles… though Lil’ M may still be a little overzealous and I may have ended up with red, white and blue sprinkles all over my counter! PGPB Guru Tip: Spray your hands with Pam, or rub them with butter, to keep the sticky mixture from sticking to your hands, and make it easier to press it firmly and evenly into the pan. What are your family’s favorite summer treats? There’s nothing quite like, still-warm rice krispie treats! And the store-bought boxed variety just aren’t the same! If you enjoyed this post, you can find all our Cooking with kids activities here, and find all our favorite kid-friendly recipes on our Cooking with Kids Pinterest board. 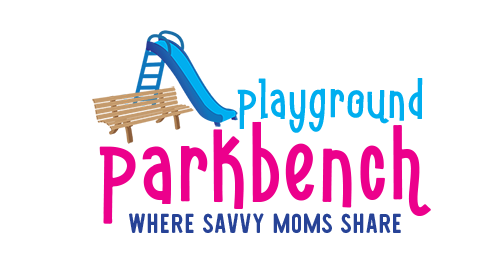 Follow Meghan @ PlaygroundParkbench’s board Cooking with Kids on Pinterest. Vote for the Best Ice Cream in Milford/Orange, CT!